Fronius, a leading string inverter manufacturer, joined GRID Alternatives Colorado (GRID) and Holy Cross Energy in the Roaring Fork Valley to help install a community solar array that will lower electricity bills for local families in need. 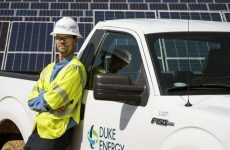 The project is part of a statewide partnership between the Colorado Energy Office and GRID designed to demonstrate how the community solar model can be optimized to reduce the energy burden for utilities’ highest need customers – those who spend more than 4 percent of income on utility bills. Holy Cross Energy is a nonprofit electric cooperative serving more than 41,000 members in Eagle, Pitkin and Garfield counties, and GRID Alternatives Colorado is a nonprofit organization that provides solar power for low-income families across the state while providing volunteers and job trainees with solar installation experience. Fronius is contributing its highly reputed solar equipment to support the project. 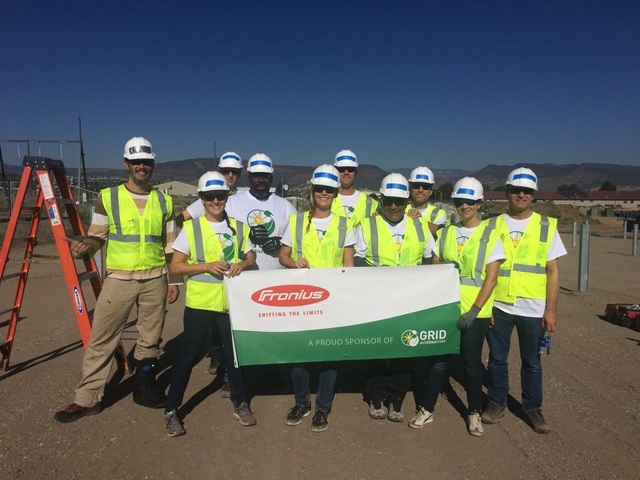 In addition, Fronius employees spent a day at the project site in Gypsum helping install the 145 kW system – 546 solar panels that will help save 35-45 qualified families up to $500 per year in electricity costs. “As a family-owned company we are always looking for opportunities to give back to communities. Therefore, we are excited about being part of this project and helping families in need. Working with GRID Alternatives and Holy Cross Energy was a real pleasure,” says Tristan Kreager, Director of Solar Energy at Fronius USA. Partnerships like these can have a huge impact for families with low- and fixed incomes. According to the American Community Survey, more than 118,000 Colorado households live with incomes at or below 50% of the Federal Poverty Level and face a home energy burden of 21%. The University of Colorado Health Science Center found that the inability to pay for home energy is the second leading cause of homelessness for families with children. 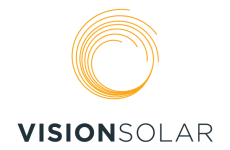 Savings from solar help low-income households pay medical expenses, put food on the table, and pay for clothes and school supplies for their children. 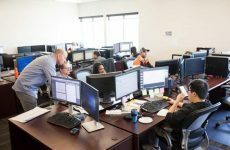 Fronius USA LLC, headquartered in Portage, Indiana, is a leading manufacturer for solar solutions and has been shaping the US solar industry since 2002. GRID Alternatives Colorado is an affiliate of GRID Alternatives, America’s largest nonprofit solar installer bringing clean energy technology and job training to low-income families and underserved communities through a network of community partners, volunteers, and philanthropic supporters.